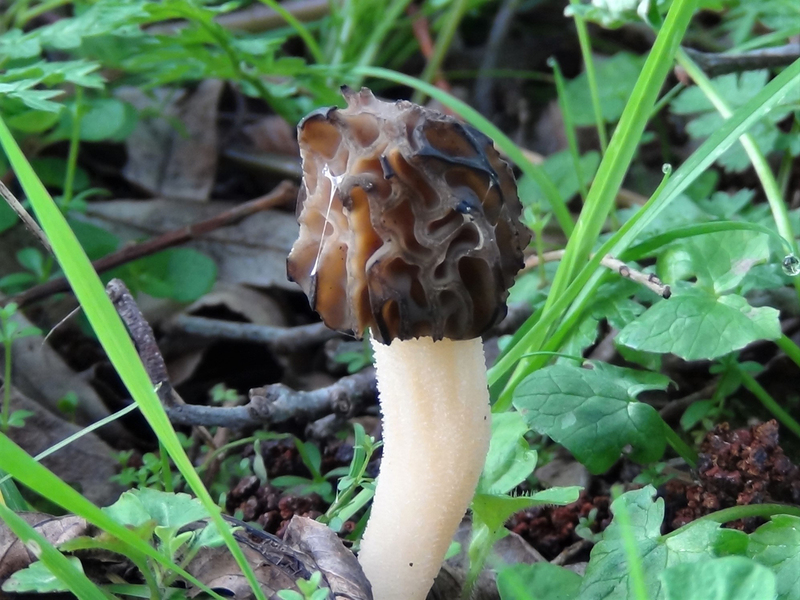 Not as good a find as a true Morel, but a tasty find none the less. 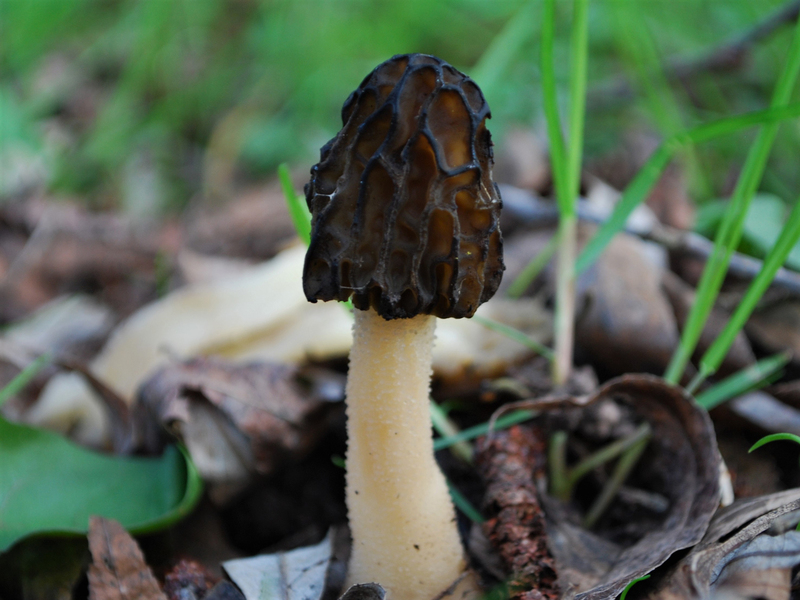 Must be cooked before consumption. 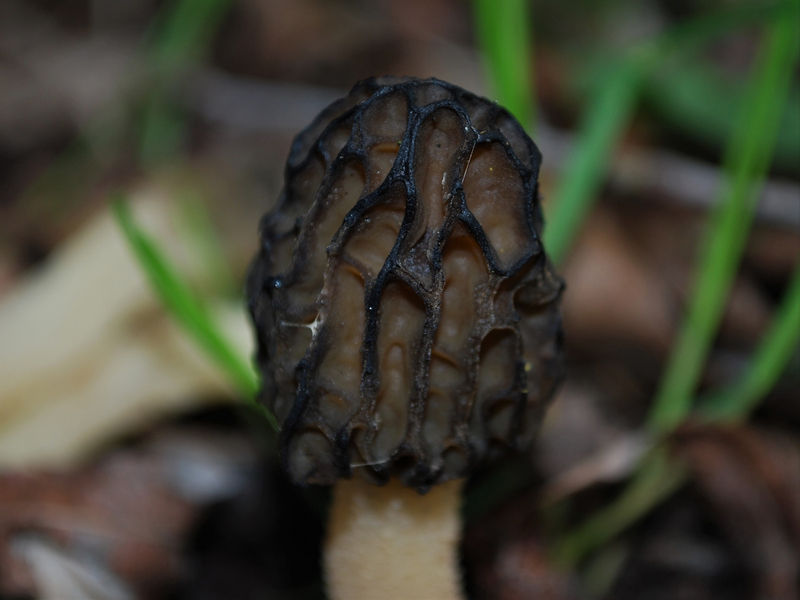 Conical and hollow with a random honeycomb effect where the background is brown and the ridges dark to black. 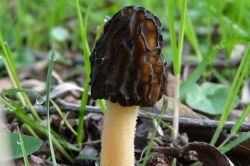 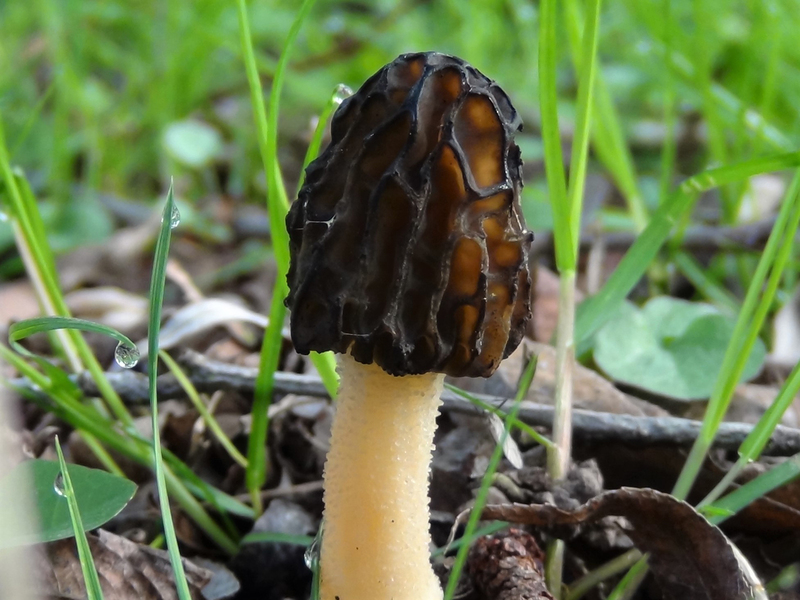 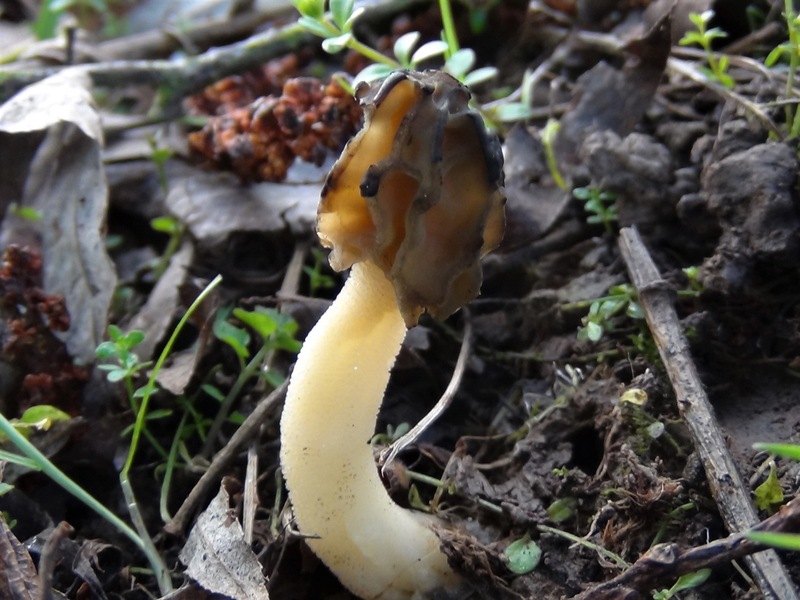 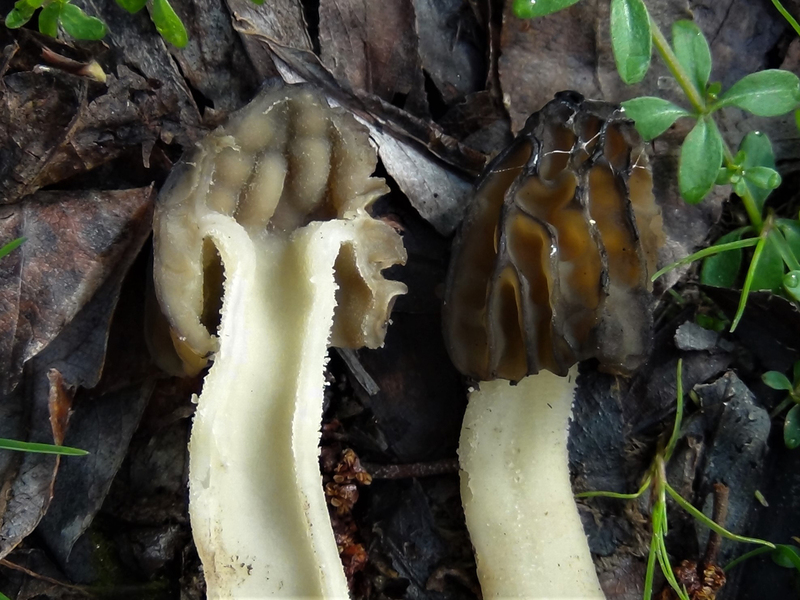 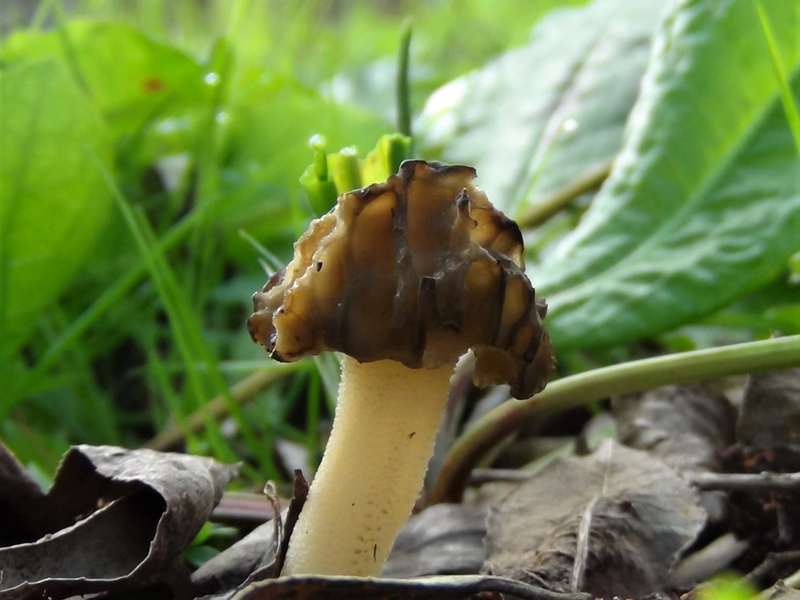 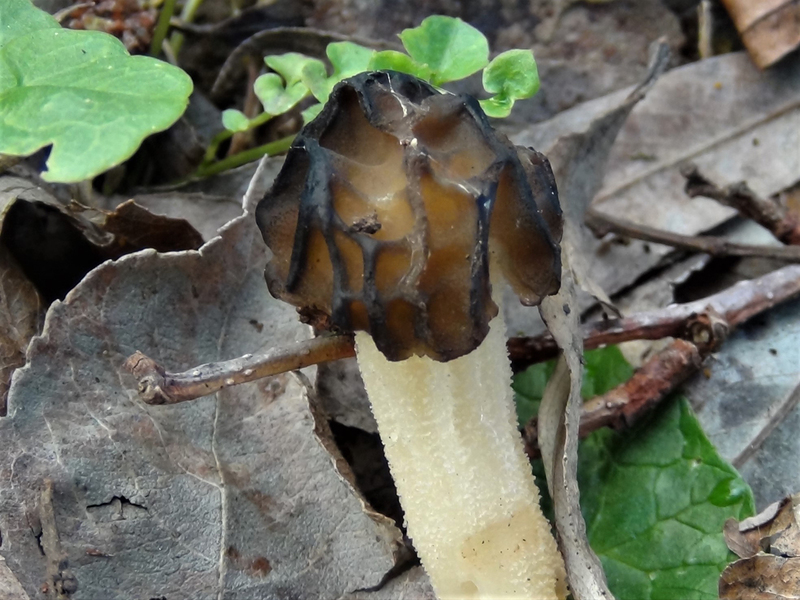 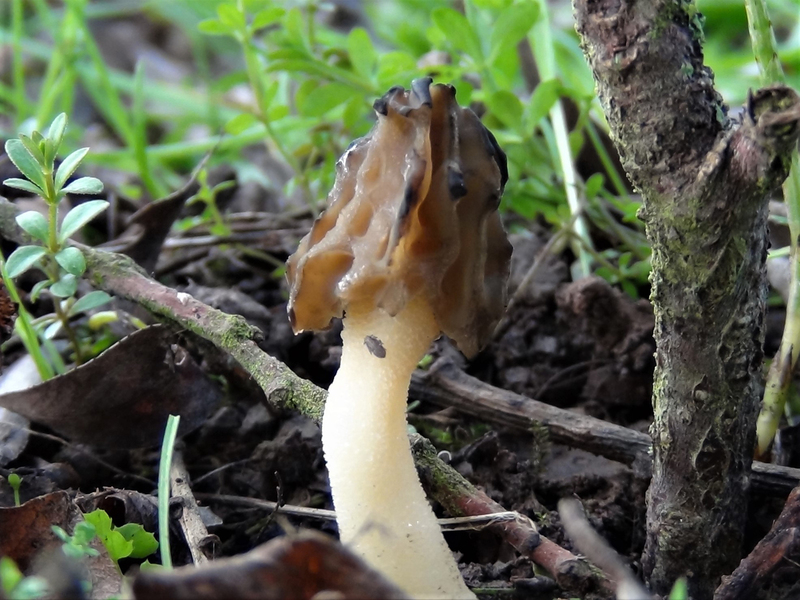 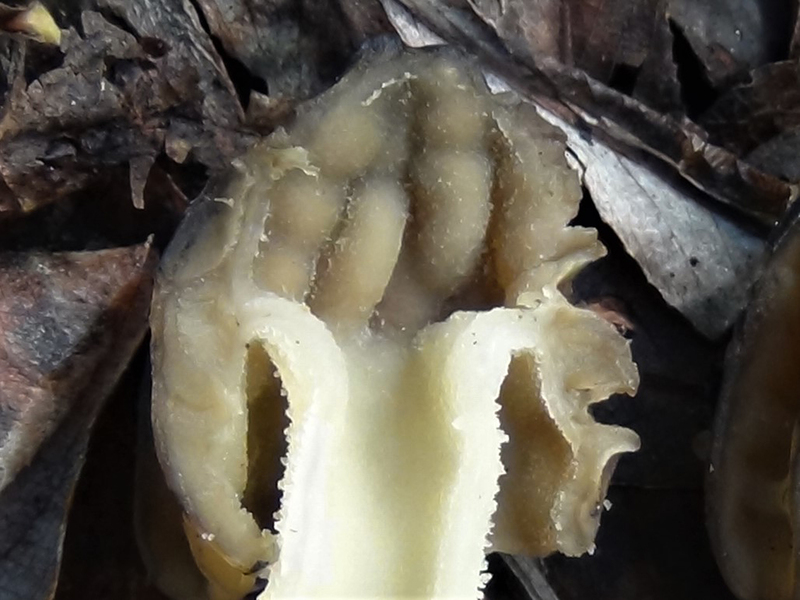 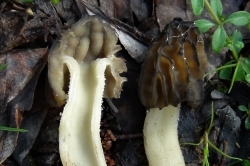 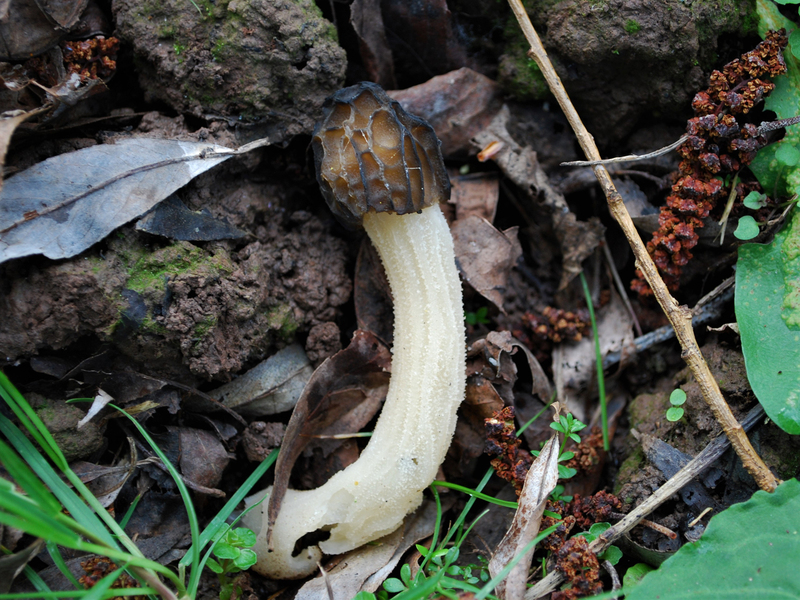 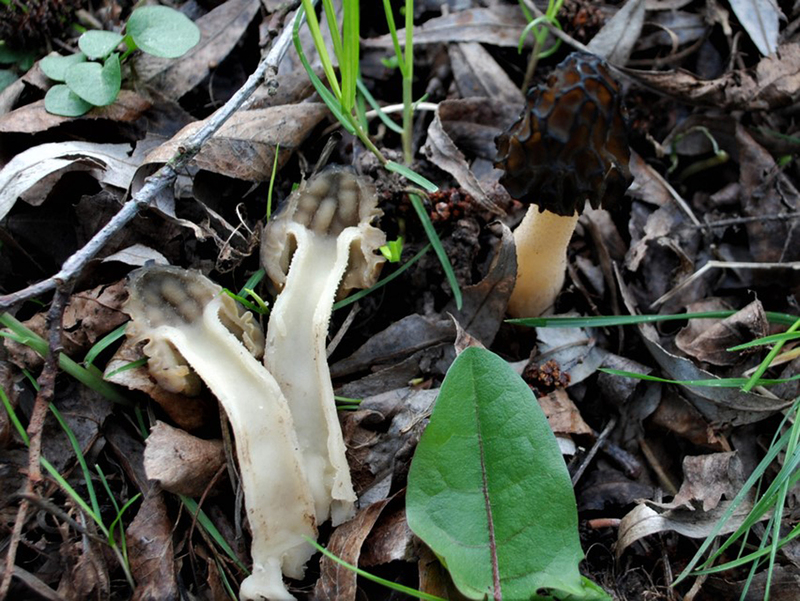 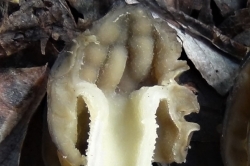 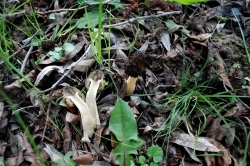 The cap edge hangs free from about halfway down, hence semi free, unlike other Morels where the cap edge joins the stem. 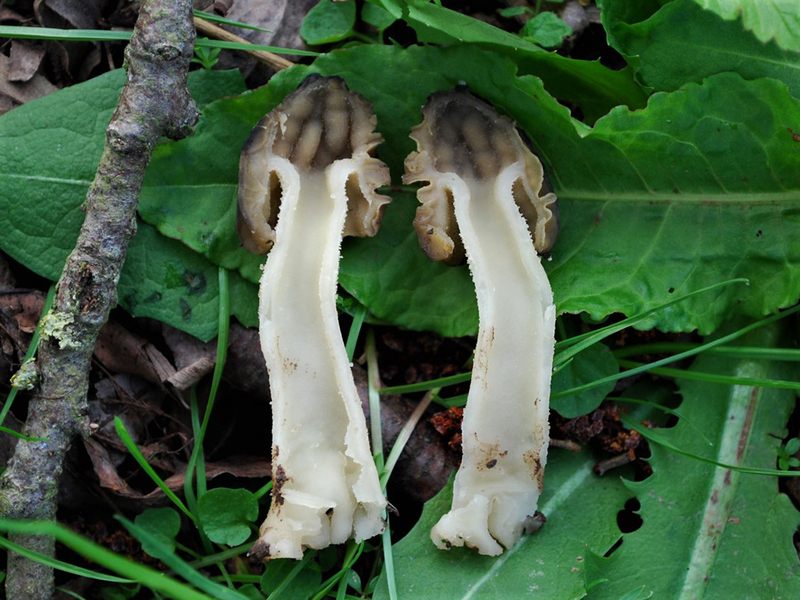 White to off white, hollow through to the cap and usually with wide striations running vertically. 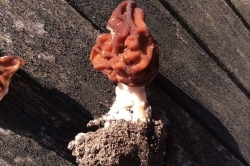 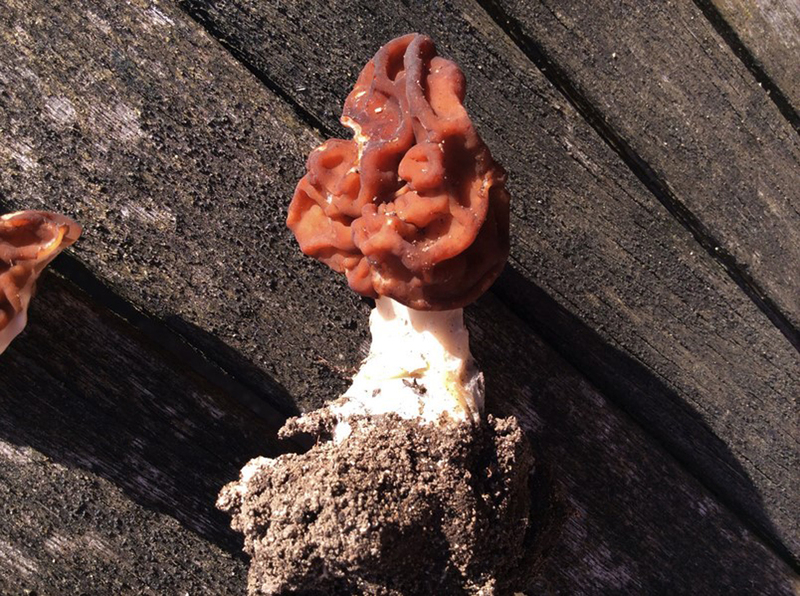 The false morel, Gyromitra esculenta, pictured, but this is more lobed or brain-like rather than pitted and honeycomb like cap of the morel. 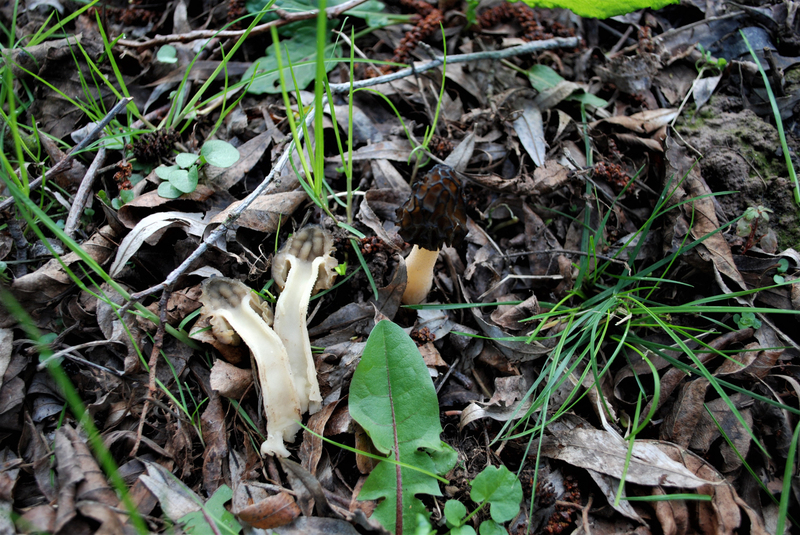 Other Morels but with the cap being semi free it’s easy to identify. 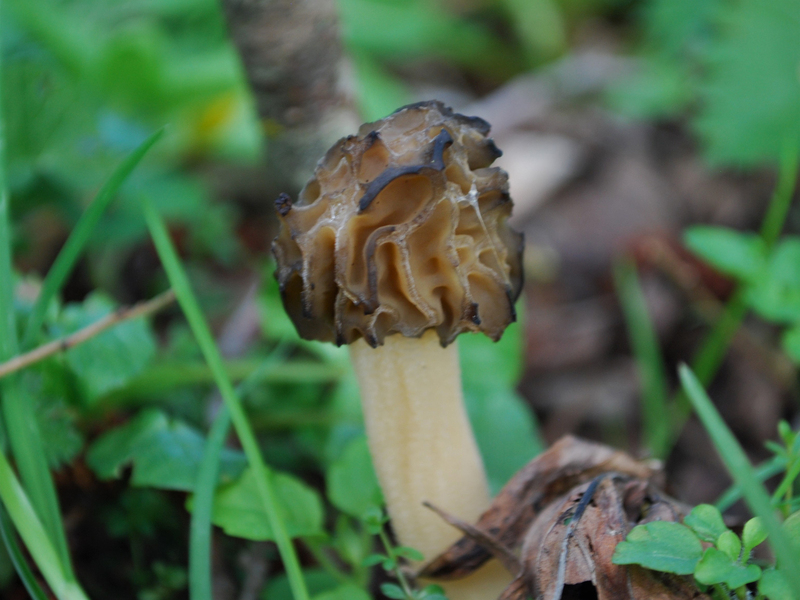 Reasonable and mushroomy. 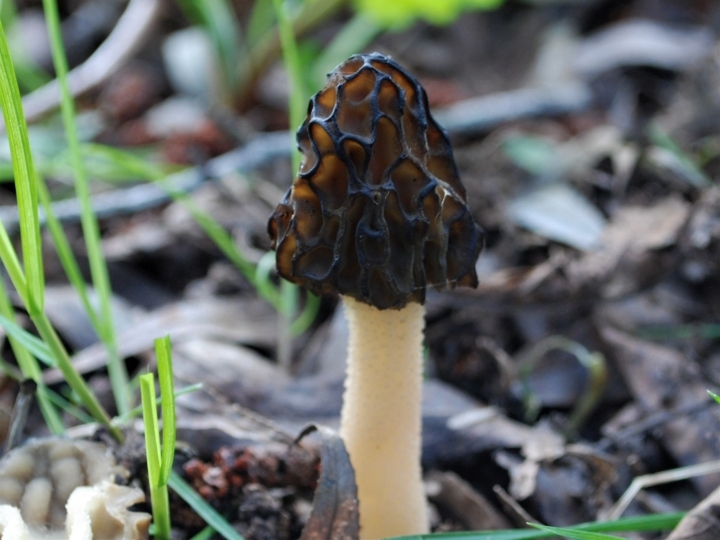 Must be cooked before consumption. 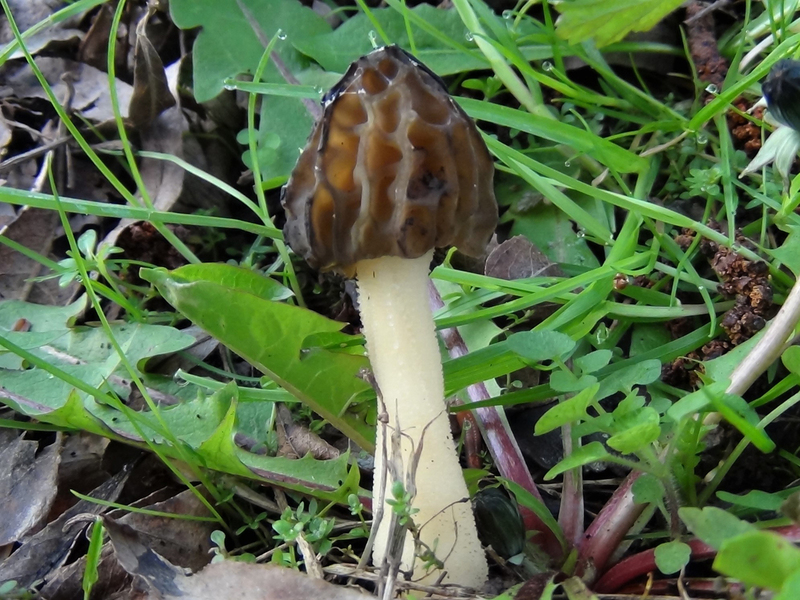 Fairly common but hard to spot.